Recreational drugs get a bad rap in the press mainly because there are some nasty ones out there which can create havoc in the wrong individual (or even the right one). Recreational drugs basically fall into two categories - uppers and downers although there are subcategories in each of these. I remember when party pills first came on the scene in NZ. It arrived with the rave scene. Before its arrival we were guarenteed to go to alcohol fuelled assualts, drunk drivers, beatings or PFO's (Pissed and fell over) and the occasional riot every Thursday, Friday and Saturday night without fail. When the recreational party pills came on the scene this largely dissappeared. We were all intrigued by it. Suddenly we were going to overdoses of a substance we knew nothing about. The patients, instead of being violent, aggressive and vomiting all over the place were usually sedated or spaced out but usually compliant. Fast forward 12 months and the groups using these drugs had gotten used to how they worked and that it wasnt a good idea to either mix the drugs or take them with alcohol. As a result our call rates to drunk, aggressive, assaulted and PFO patients on Thursday, Friday and Saturday night significantly dropped off. Even the Police noticed a change. At a large party event they would stage the usual nunbers of police with the paddy wagon at the ready. They soon realised that the mood enhancing drugs put people is a good mood instead of an agressive one and eventually the Police stopped attending the smaller raves altogether. Then along came the legal 'herbal' highs. Once again we had the few who experimented and overdosed but after a while we had few callouts to these legal pill poppers. Unfortunately the gangs realised the money to be made from recreational party drugs and started importing and suppling more lethal drugs. P, E, Meth even Heroin soon made its way to the streets and the occassional nutter that took them ended up creating havoc which made the national headlines. Politicians, seeing this as an opportunity to boost their ratings jumped on the moral bandwagon and publically damned these 'evil drugs' and insisting that all party drugs be made illegal including the herbal ones. They seemed to ignore the fact that alcohol had created far more chaos and cost the country huge amounts of dollars in rehab and healthcare expenditure or that they had closed our psychiatric institutions and put the mentally unstable in the community with little supervision or support. 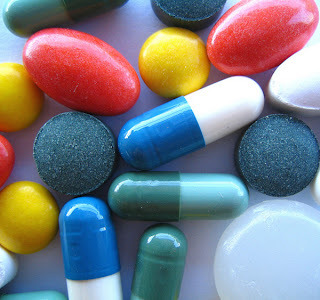 As a result the legal BZP containing herbal party pills were banned. The youth soon turned back to what they used to use - alcohol and underground drugs (E, P, Dope) and Thursday, Friday and Saturday nights have gone back to booze fuelled bashings, drunk drivers, PFO's and the occasional riots. Not only that, the government lowered the legal drinking age and allowed the increase accessibility of alcohol which fuelled the problem. The reality is that people will always seek an escape from reality. Personally I would rather see people taking regulated, legal herbal highs than alcohol. I have yet to go to a party pill popper who as a result of taking a herbal high turned around and gave his Mrs the bash, or got into car and smack into an innocent victim or become super aggressive when they fall over and get peeled off the pavement. Alcohol on the other hand does all of this on a regular basis. Thanks to politicians and their alter motives, they can safely sit back and sip on their malt whisky while our crews and emergency departments fill up again with vomit covered drunks, aggressive intoxicated patients and their assault victims and the occasional nutter who trips out on some underground illegal substance. Thanks for making our job that much harder!! Well thats my take on it. Be interested to hear your views.